In the vast market of men's razors, there is an overwhelming list of choices, all boasting to have the best shave and the smartest patent for the lowest price. This can intimidate someone who is trying to find the right razor. Men's razors such as the Schick Hydro 5 talk a big game with their products, claiming to produce the closest shave with the sharpest blades without being too harsh on the skin. Endless brand names promise models built to last with durability, tough handles, and blades that will not rust or erode. But which of these razors can we trust out of the thousands making these promises? What is the Schick Hydro 5 And How Does It Differ From Other Razors? The Schick brand has been around for a long time and has made quite a name for itself. Becoming one of the top most trusted and sought-after brands of razors on the market today, the manufacturers at Schick's work tirelessly on each razor model they produce to ensure it offers the best durability, finest razor blades, smartest design, and closest and smoothest shave. Many men firmly believe Schick meets and exceeds the expectations it sets out for itself. 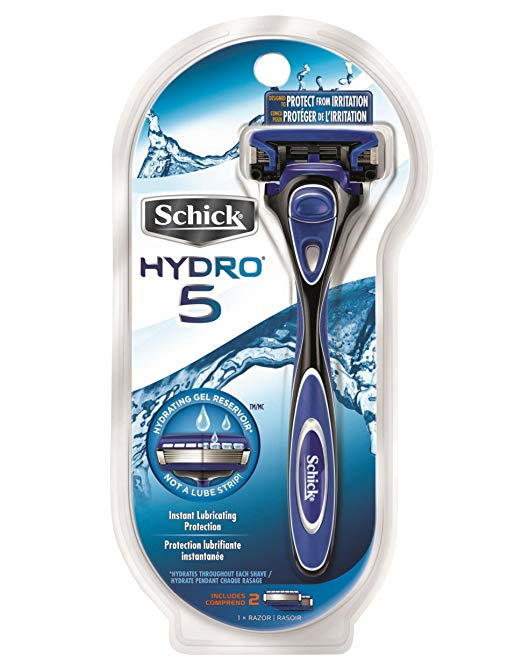 The Schick Hydro 5 introduces quite a few clever features that make it stand out from the crowd of razors on the market, such as the use of gel lubrication instead of a lubra strip. Manufacturers have also equipped the Hydro 5 with skin guards, and its five blades make it a formidable powerhouse shaver. As if this is not enough, the Hydro 5 also boasts a unique feature called a Flip Trimmer for hard-to-reach places. Everything from the space between the blades to the ergonomic handle is thought-out and produced to absolute perfection. Most disposable razors on the market have fewer blades with more space in between that make the skin on your face irritated and bumpy, manufactured handles that have no thought or added convenience to their design, a little to no lubricant on the razor head, and you are usually on your own for those tough-to-reach spots such as the area right under your nose. In these aspects and the patenting experience Schick has had over the years, there is no contest between revered and trusted brands like it and nameless cheap disposable razors that one can find all over the market online and in stores. The high quality put into the patenting is clear from the moment one takes the Schick Hydro 5 out of its package. 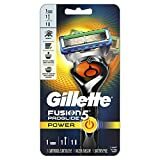 With its five razor blades and trimmer function, it already beats other cheap disposable razors before one even uses it to shave. The ever-helpful gel lubricating strip can move out of the way to help one more easily get to and shave the surface of those harder-to-reach areas. The manufacturers at Schick kept comfort in mind when they developed the rubber fin above the blade whose purpose is to lift the hairs before shaving them off for an even closer shave. In between each blade lies a special bar whose purpose is to keep the skin smooth and undisturbed as one shaves across the surface of their skin. It may require two shaves to get the hair completely off of one's face, but the result is smooth, silky skin with little to no irritation. The clever thoughtful patenting of the blades and the bars between them makes razor burn a thing of the past and also eliminates any dragging when using it. The handle is easy and comfortable to grip, and this increases the handling around the contours of one's face. The weight and balance of the razor head and the handle are in perfect harmony, the only downfall being that the razor head is on the larger side. Depending on the structure of one's face, some areas such as under the nose and the corner of one's mouth may prove more difficult to get to, but what the Hydro 5 lacks in versatility it makes up for with additional tools such as the trimmer. The Hydrating Gel Reservoir within the Hydro 5 has made consumers thrilled, claiming to deliver 40% less friction than a normal lubricant strip. Manufacturers at Schick have even gone the extra mile to include soothing aloe and vitamin E in this gel. The extra lubricant within the gel keeps one's face hydrated up to an additional hour after one is finished shaving. The skin guards at the top of the Ultra Glide blades and an extra larger guard bar helps stretch the skin for a smoother shave without pulling it or irritating it. The cheapest disposable razors on the market cost less than a dollar and offer the bare minimum as far as specs go. A run-of-the-mill cheap disposable razor will only have one or two blades, no skin guards, no weight in the handle, and no lubricant. Razors like the McKesson Twin or a six pack of the Bic Sensitives will only last one a few shaves before the blades become too dull to use. One who shaves with these razors should want to be extra careful during the act because razor burns, bumps, and skin irritation are common. One should consider purchasing hydrating shaving cream or soothing aftershave to heal and protect the skin from the harshness of cheaply patented razors. Thankfully, there are many men who have taken the hit for the rest of us and truly sought all kinds of different razors and brands to find the absolute best. We write this article for you today to put a few of those popular brands to the test to see how they really hold up. We will look at the Schick Hydro 5 razor, a well-revered and trusted razor, and compare it with other top brands to see how it holds up.The Gel Reservoir has the option for one to push it back and out of the way which activates the Flip Trimmer to help one get tough-to-reach places. 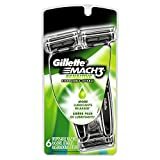 Increased shaving control is possible with the ergonomically designed handle that provides stellar weight and support.Revered brands such as Schick and Gillette offer proud selections of all kinds of different razors made to suit the needs of each different man. These razors can be anywhere from a few dollars to around $15 to $20. You get what you pay for in the razor world, and brands that think carefully about how to patent their products are worth paying a few more dollars to get longer lasting razors with closer shaves and soothing technology. This razor costs around $11. The weight of the handle and its ergonomic design make it easy to use. The gel inside makes for stellar hydration up to an hour after shaving, and the five blades with protective bars in between make the shave close, smooth, and leave irritation behind. The manufacturers built the Hydro 5 model with convenience and comfort in mind, and the trimmer function makes the razor much more versatile. The pivoting head paired with the patented "diamond-like cutting" coating over the blades makes the shave stronger, sharper, and leaves little to no room for cuts, burns, or skin irritation. The lubra strip provides natural oils to help hydrate the skin and further protect it from the harshness of the blades. Since the blades are so progressively manufactured, it is easy for one to rinse out the area in between each blade, and the ergonomically crafted handle provides a comfortable grip with extra control.This razor costs about $13 for a pack of six razors.The thinner, finer blades last longer, up to a month, and provide the closest shave possible with minimal irritation. This razor costs about $13 for one head and two blades. Gillette is a brand that every man has heard of and undoubtedly used at one point or another. The Gillette brand is trusted and revered by many men, and countless individuals swear by purchasing only the Gillette brand and no other. It is considered "the best a man can get." The blades of this razor are manufactured in a progressive way so that for every one stroke one takes, the razor takes three. The pivoting head of this razor makes it easy for one to reach the crevices and contours of their face and reach hard-to-get areas. The ProGlide Fusion5 razor has many included bells and whistles to give a shaver the closest shave that gets rid of virtually every hair. The FlexBall technology of this razor allows the blades to follow the complicated contours of one's face. The head swivels as it glides and reduces having to twist one's face into uncomfortable positions to get hard-to-reach places. The included precision trimmer and micro-comb helps guide stubble into the blades. 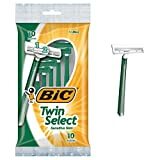 A pack of ten of the BIC Twin Selects comes to about a dollar a razor, but this does not mean cheap razor quality. The BIC brand is a good choice for those with extra sensitive skin. The slimmer razor head and tapered handle provide additional control and make it easier for one to reach difficult areas. This is a great razor for beginners who are new to mastering the art of a careful shave. The twin blades further help the shaver achieve a close shave, and the blades themselves are long-lasting. For added convenience, the entire razor is disposable rather than just the head. Getting a close, comfortable shave is important for so many men and disposable razors are a cost-effective way to go. 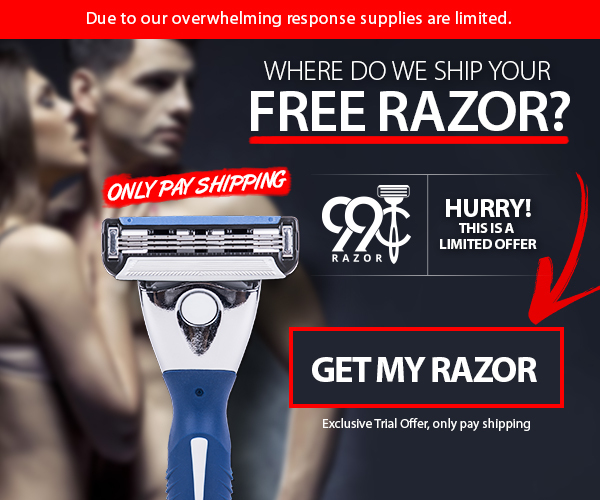 We hope we have provided you with some helpful information that will avoid you having to try out countless razor brands to find the one that's right for you. We believe the Schick Hydro 5 is a wise choice for someone who is looking for a close shave with plenty of versatility, gel hydration to protect the skin, and longer-lasting blades. The Schick Hydro 5 is a razor that will give one all they desire and more for a low cost, so check out that Amazon link or head to the closest store near you to pick up yours today! Your skin will thank you, and you will feel the difference after just one use!